The word ‘diet’ is misused by people. Though many claim that diet soda is good for health it is not true. Diet soft drinks are perceived as a healthy alternative to regular soft drinks but patients should be aware that diet soft drinks may not be without risks of their own. 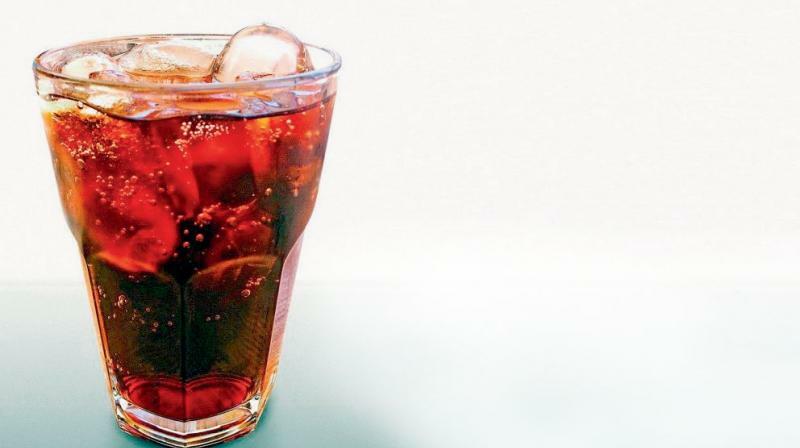 Hyderabad: Drinking diet soda may increase the risk for a severe type of diabetic eye disease that can lead to blindness, a new study has revealed. The study, published in Clinical and Experimental Ophtha-lmology, is the first to evaluate the link between soft drinks and what is called proliferative diabetic retinopathy. In diet soft drinks, artificial sweeteners are used, and they claim that it won’t harm our health. There are no proper regulations on diet products, doctors said. The study covered 609 adults including 73 with type 1 diabetes, 510 with type 2 diabetes and 26 with an unknown type of diabetes. Almost a quarter had proliferative diabetic retinopathy. There is no research and proper regulation by the food regulation authorities. No one knows how much quantity is used what is the safe quantity to consume? What are the side effects? These questions can be answered through research, added Dr Ravi Shankar. Diet soft drinks are perceived as a healthy alternative to regular soft drinks, patients should be aware that diet soft drinks may not be without risks of their own. Recently diet sweets have come into the market. In diet products, regular sugar is replaced with artificial sweeteners. There won’t be much difference in the calories people get. It is better to consume sugar as minimum as possible. In general, sugar is not good for health it may cause heart problems, increase the risk of obesity, diabetes. It is not good for non diabetic people also, added Dr Ravi Shankar. “In its most advanced stage, new abnormal blood vessels proliferate (increase in number) on the surface of the retina, which can lead to scarring and cell loss in the retina and permanent blindness,” Dr Goud explained. Consultant endocrinologist Dr Samantha Sathyakumar said artificial sweeteners were developed for people with obesity and diabetes. The commonly used agents in India are aspartame, sucralose, acesulfame and saccharin are found in many readymade sugar-free products. Stevia is a plant based sweetener, which is now becoming popular, she said. She added that the concern about blindness in connection with sweeteners was related to the 10 per cent that is metabolised to methanol. “This compound in large quantities is toxic to the eye. However up to 10 mg a day is present in the normal diet. We will need take very large quantities for it to affect the eye. However aspartame is absolutely contraindicated for pregnant women, children and individuals with phenylketonuria,” Dr Sathyakumar said.